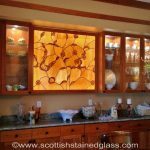 Stained glass panels are an often overlooked detail for those clients who are creating a stained glass piece that they would like to take with them when they move. 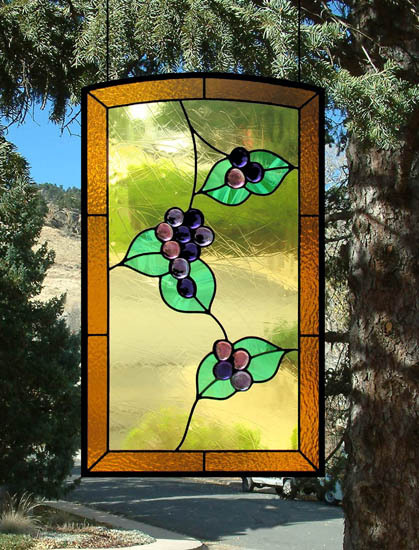 This is perfect for stained glass that has a particular meaning to the family or individuals who order it. 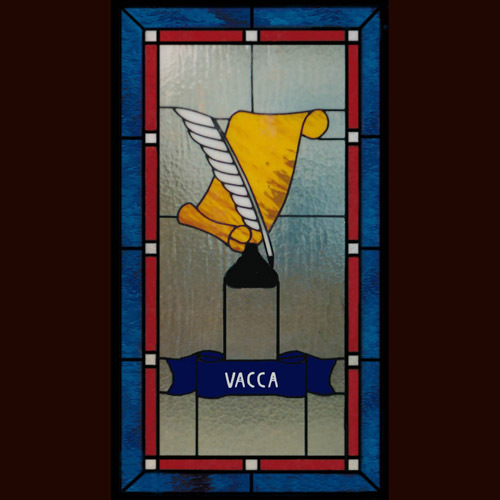 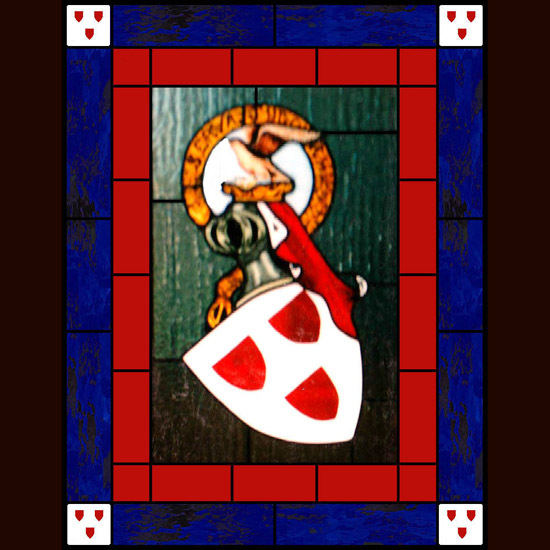 We often do stained glass memorials, family crests, or other memorable designs in stained glass panels so they can be easily moved. 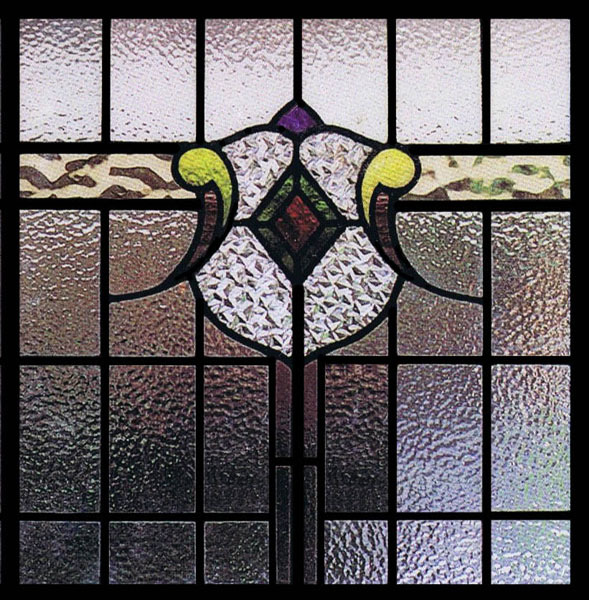 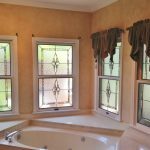 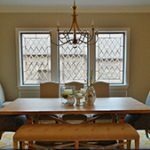 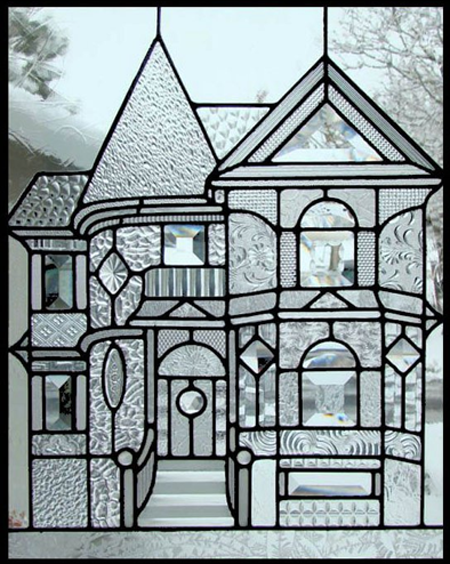 Stained glass panels can be made to fit almost exactly inside the window in which they will be placed and then secured by brackets that allow it to be easily removed with absolutely no damage to the window. 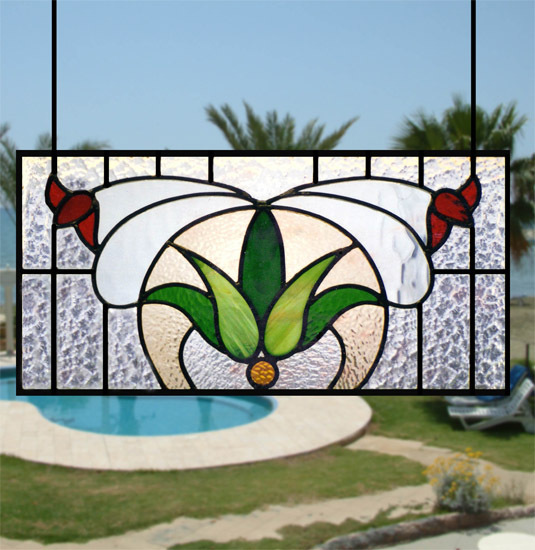 Panels can also be created that hang from the ceiling or window frame so that they hang in front of the window, but are not directly attached to it. 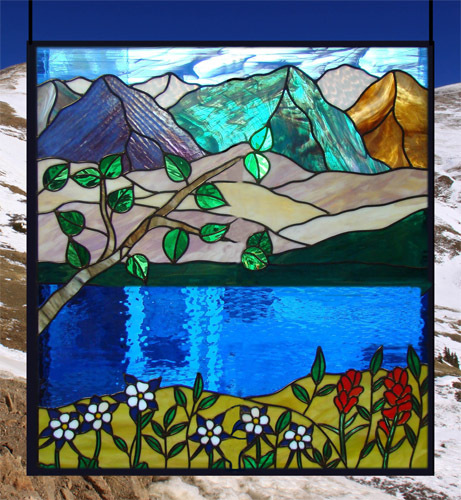 Generally our panels are framed in wood. 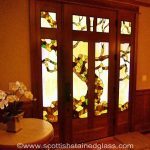 This wood can be stained or painted to match your home’s motif. 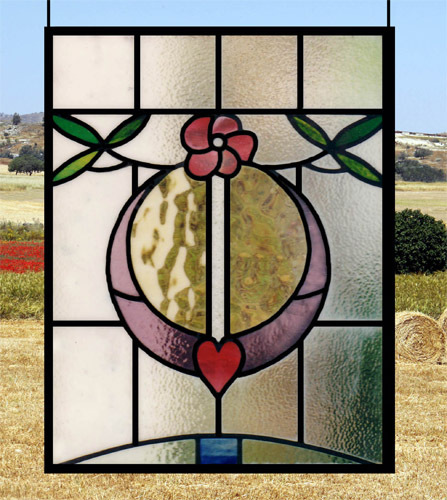 Our panels can last essentially forever, so investing in one means you’re investing in a family heirloom that can be passed down and cherished through your family for years to come. 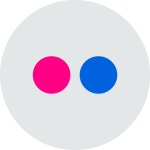 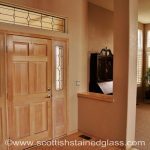 We have over 600 color options if you want to incorporate colors into your panel, and the options for colorless glass are numerous as well. 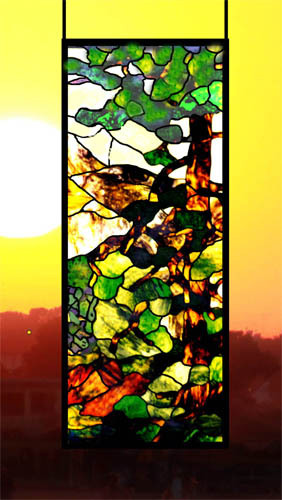 This means that you will be creating something that is all your own, and completely one of a kind. 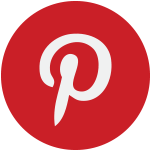 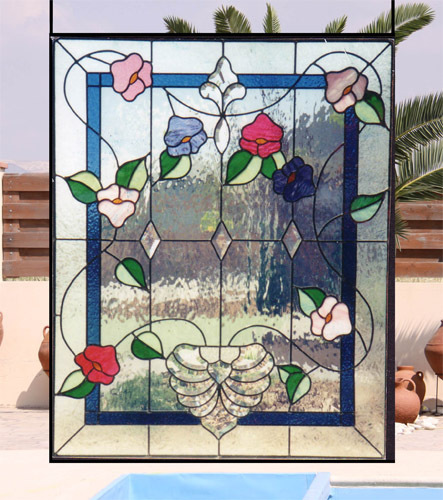 Our designers will work with you to create your perfect stained glass panel. 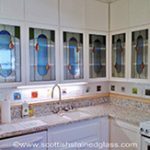 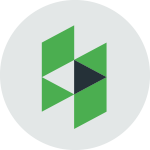 This team has designed thousands of pieces of all shapes, sizes, and styles, so you can feel great about working with us on your project. 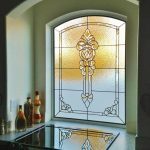 No matter what kind of panel you want designed for your home, we can work with you every step of the way until your are completely satisfied. 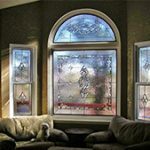 We use the best quality glass for each of our pieces, and this has helped us to become the leading stained glass provider in the United States. 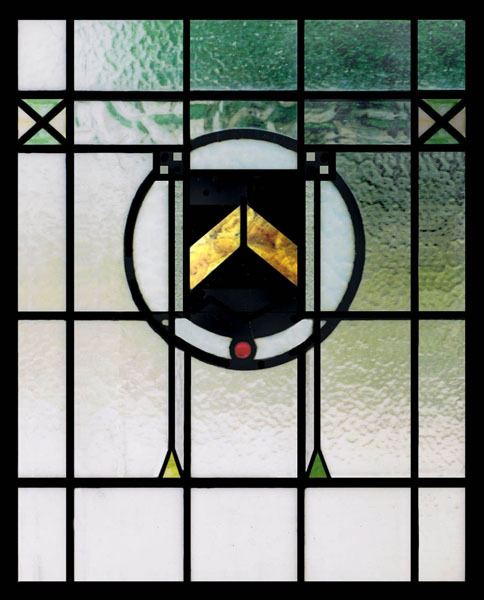 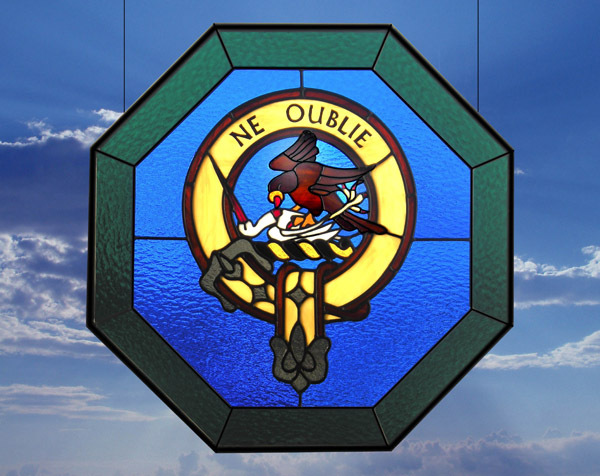 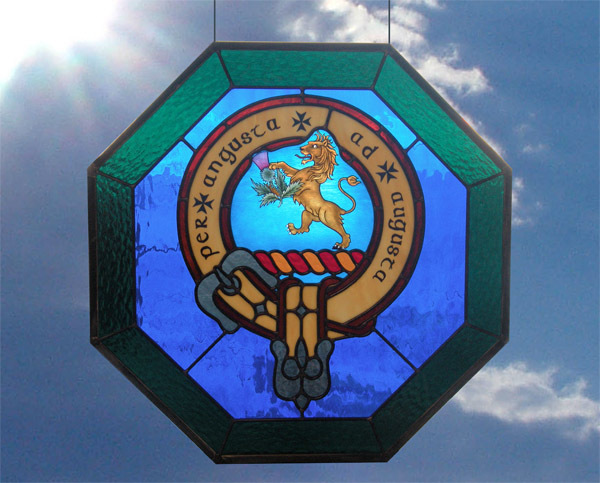 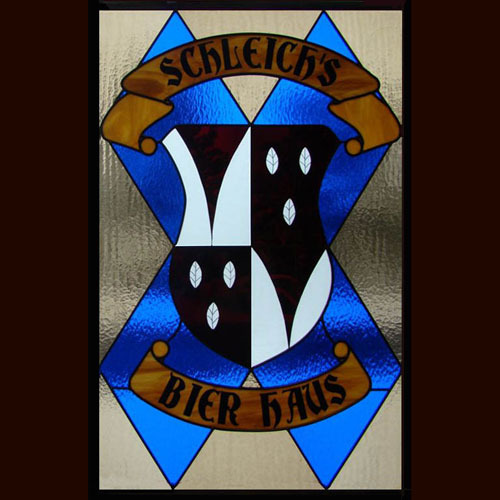 Family Crests are our most popular stained glass panels. 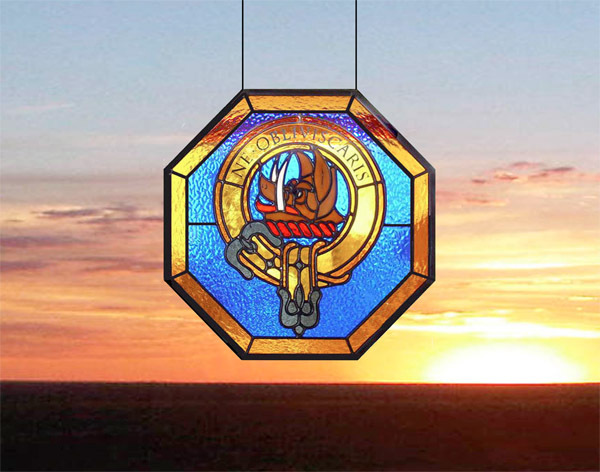 Stained glass Family Crests are wonderful pieces that memorialize a family’s heritage and are passed down generation after generation. 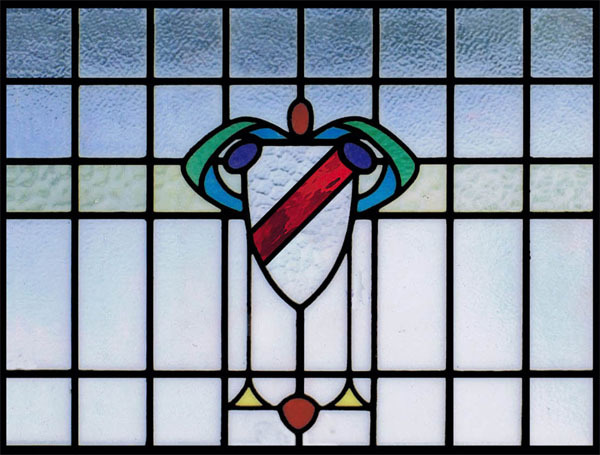 These crests can last forever if they are properly taken care of because we use only the best glass techniques to ensure a quality product each time. 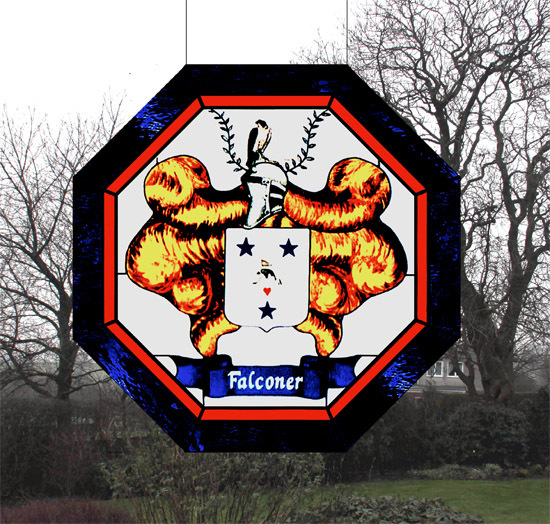 See more of our Family Crests by clicking here. 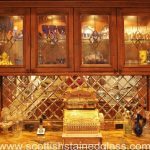 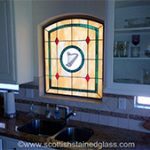 In addition to building custom stained glass panels, Scottish Stained Glass has also restored hundreds of authentic, antique stained glass panels. 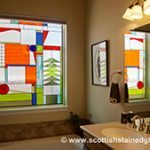 These panels were rescued from Scottish homes and businesses that were being destroyed or remodeled and imported to the US by owner Martin Faith. 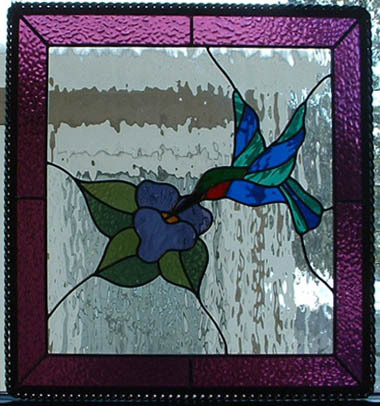 Check out some of these stained glass panels on our Antique Stained Glass page. 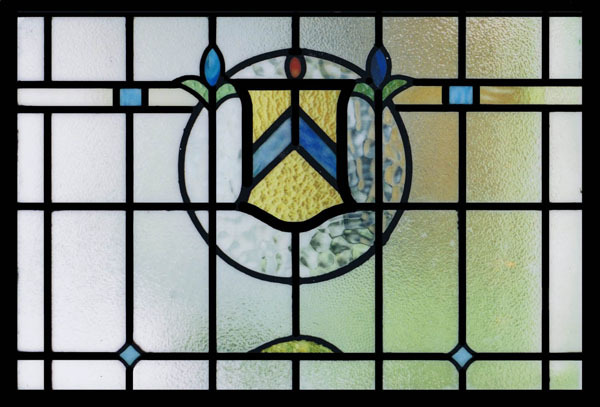 If you are looking for an authentic, historic stained glass panel, please feel free to contact us and schedule a visit to see your options in person. 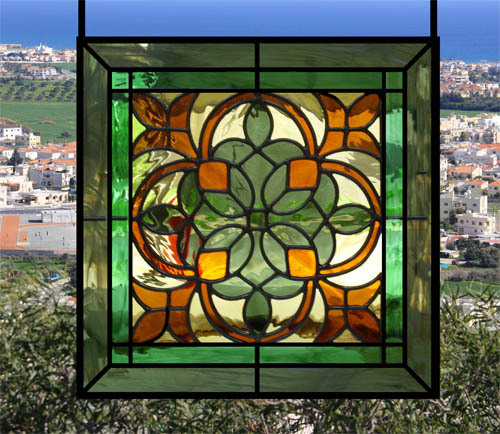 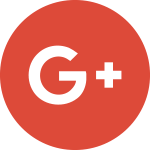 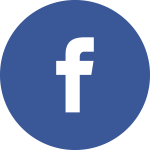 Give us a call or send us an email if you any questions about our design and building process, or if you want to set up a consultation for your stained glass panel today. 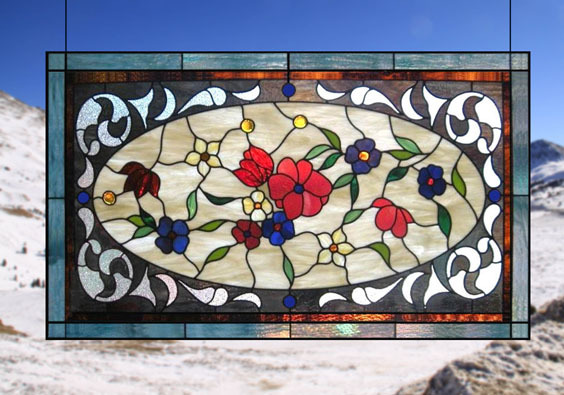 Whether you want something with bright and bold colors, or something subtle and timeless, we can’t wait to begin working on your stained glass panel!